Your furnace needs regular maintenance to keep it running smoothly. In addition to having a furnace repair technician visit at least once a year, there are also important cleaning and maintenance tasks you can and should do yourself. The most important is changing the furnace filter every one to three months as needed. A clean high-efficiency particulate air filter is effective at removing dust, pollen, dander, mold spores, and other debris from the air. This makes the house more pleasant to be in and reduces the risk of throat and lung irritation. 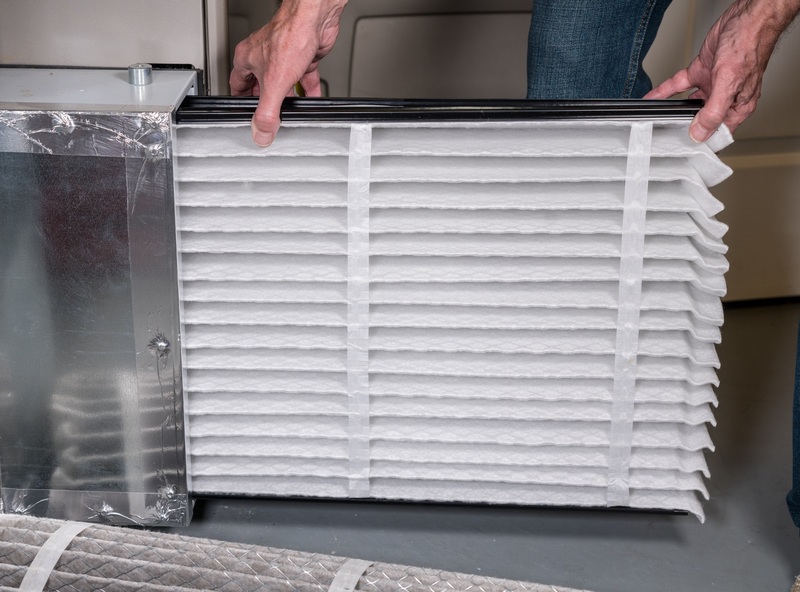 A clogged filter obstructs the flow of air through your furnace system far more than a clean filter does. This can make heating less effective, as warm air is not being delivered as intended, so changing it will help make your home more comfortable. Because the air flows more freely, your furnace's fans won't have to work as hard. The less work they do, the longer it will take them to wear out and the less likely you are to need furnace repairs. Besides saving on furnace repairs, another benefit of having your fans run at a lower setting is the energy your system saves. This translates directly to a lower energy bill. Changing your filter is an investment which quickly pays for itself. The cleaner your filter is and the more often it's changed, the less debris gets through to your furnace. This means less accessible components which are more difficult to clean—such as the inside of the air ducts—will not get dirty as quickly. Less frequent air duct cleaning is more convenient and another way you can save money. For fast, reliable furnace repairs, cleaning, and maintenance, choose AAA Heating & Air Conditioning Service Inc. in Lexington, KY. Celebrating 56 years of service to the Fayette County community, this family-owned business offers excellent customer service, which has earned them an A+ rating with the Better Business Bureau®. To schedule a visit, call (859) 254-8838, or visit their website to learn more about their services.